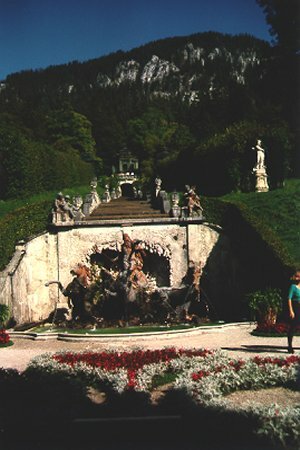 At left is the view of the grotto area and rear gardens. While on the right is the magical fountain. It does not run all the time. 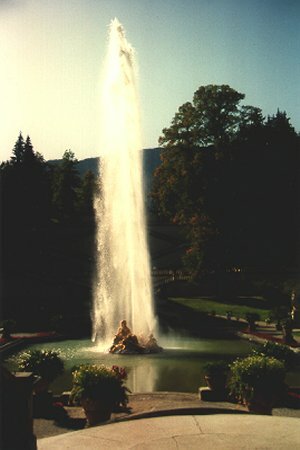 They have cut the times down to save money so check with the tour guides for the schedule time when the fountain is running.